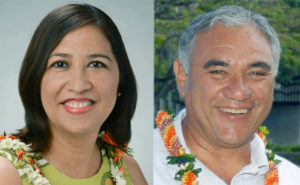 Kalei Akaka and Esther Kia‘aina will face off for the Oahu trustee seat while three incumbents advance with three challengers to November. 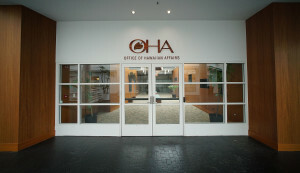 Two high-profile challengers will spice up the races for the embattled Office of Hawaiian Affairs Board of Trustees. The story of the Jan. 21 protest of the return of the small cruise ship. Op-ed claims William Aila was wrong when he said FTA required segmented archaeological survey. National Park Service called Hawaii a "high-risk grantee." 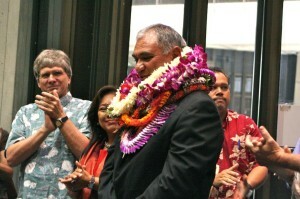 DLNR chair says phased approach was only option for Honolulu. 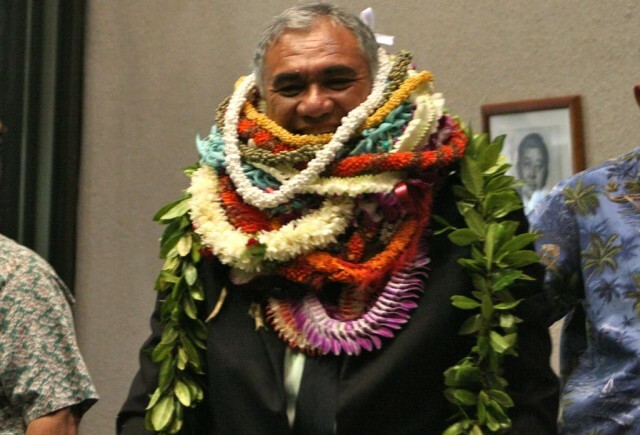 Senate Judiciary Chairman compares the Native Hawaiian land chief to a castrated horse. 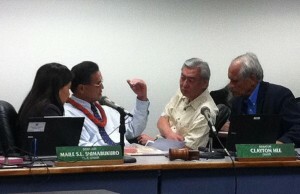 Sen. Clayton Hee's barbs were sharp in exchange over Aila last week. 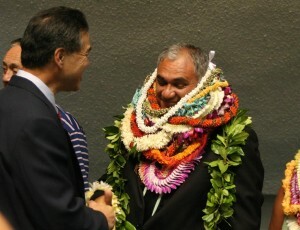 Hawaii Senate president says land chief to get up-or-down vote Thursday. 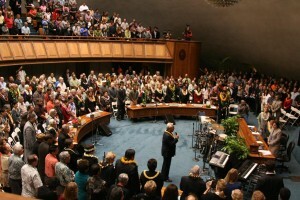 Majority caucus to decide Wednesday whether to defer land chief confirmation. Hee demands explanation from Dela Cruz in mass e-mails to entire Senate. 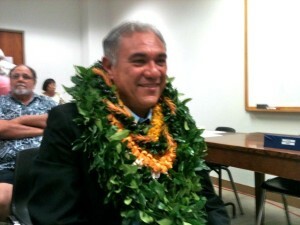 Senator asked for more time to review land chief's qualifications.